Many political aficionados were beyond surprised when David Cameron appointed the former News International apparatchik Andy Coulson, to manage his communications. Coulson was already tarred in the hacking debacle but Cameron felt he should have a “second chance”. That decision was either a cold, calculated gamble to garner the powerful endorsement of the Murdoch empire in the run up to a general election or it was spectacularly naive. Either way it has backfired on the prime minister. Twitter is alive with condemnation and News International are hanging Coulson out to dry with the revelations that he authorised payments to the police. 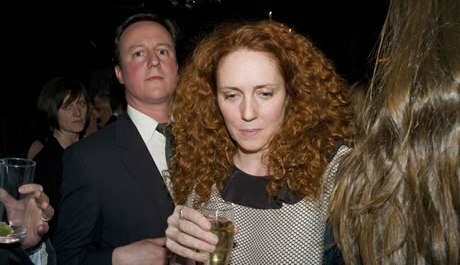 Is this a shot across Cameron’s bows by Rebekah Brooks? A full public enquiry will undoubtedly turn the spotlight on Cameron and how much he knew or should have know about Coulson’s activities. It will also be very uncomfortable for a number of high-ranking members of the metropolitan police. This has implications too for the coalition. It provides a once in a parliament opportunity for Nick Clegg to revive the fortunes of the Liberal party on an issue that isn’t part of the coalition agreement.